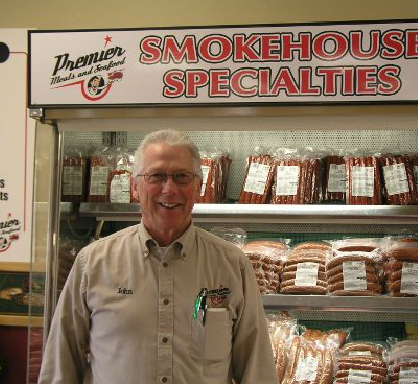 Locally owned and operated, Premier Meats & Seafood was founded in 2004 with the goal of providing high quality meats and seafood to the Fergus Falls area, along with friendly, old fashioned, customer service. 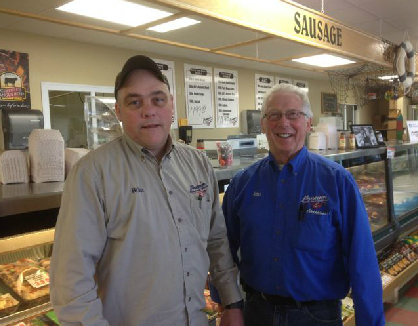 Owners John Anderson and Brian Oliphant believe in offering their customers meat that is not infused with unnatural additives, antibiotics, and growth hormones. Combined, John and Brian have 85 years of experience in the meat business and can answer almost any question you may have. 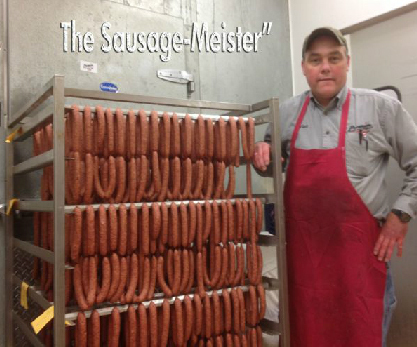 Premier Meats and Seafood is committed to offering only the finest in beef, pork, chicken, smoked sausage and seafood. Premier Meats & Seafood will continue to evolve to meet the needs of our customers. We guarantee all of our products and are committed to only making changes that will benefit our customers. Come in and see what meat is “supposed” to taste like! We “Steak” our reputation on every bite!